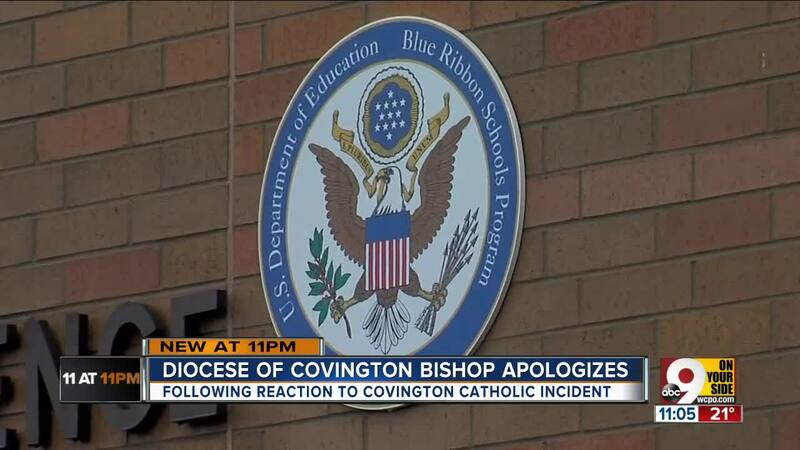 Diocese of Covington Bishop Roger Foys apologized Friday afternoon for issuing a premature statement about a group of Covington Catholic High School students’ interactions with Native American activists Friday in Washington, D.C.
Sandmann, 16, was among a group of Covington Catholic students who had traveled to the capital for the anti-abortion March for Life. While waiting for buses outside the Lincoln Memorial, they became involved in a back-and-forth shouting match with members of a fringe religious group known as the Black Hebrew Israelites. The BHI, who believe they are the “true” Jewish people and are known for anti-gay, anti-Semitic invective, vociferously insulted the students as well as uninvolved passersby. Among those passersby were Native American activists participating in their own demonstration, the Indigenous Peoples March. They attempted to intercede in what they perceived as an escalating conflict. A short video clip of one activist, Omaha tribe elder Nathan Phillips, playing a traditional drum while face-to-face with a smiling Sandmann, who wore a “Make America Great Again” cap, became the lit fuse on a controversy Bishop Foys said led to an online explosion that damaged the entire diocese. 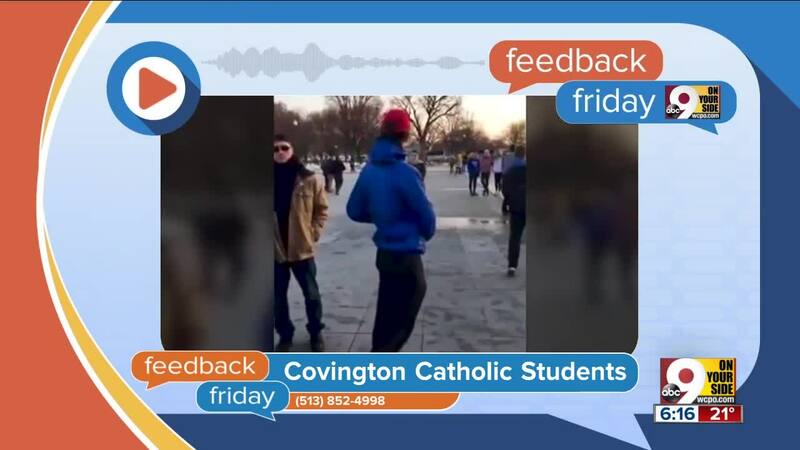 Shortly after the clip began to circulate Saturday, earning Sandmann the condemnation of figures ranging from “Captain America” actor Chris Evans to sitting politicians, the diocese and school released a joint statement. In Friday’s new statement, Foys wrote he hoped an independent third-party investigation would definitively exonerate the students of the racism and harassment of which they had been accused. He added he supported the school and its principal, Robert Rowe, moving forward. Foys had earlier in the week spoken with Covington Catholic students in person, according to an article published in diocese newsletter the Messenger. It quoted him as having told the students: “This is a no-win situation. We are not going to win. No matter what we say one way or another there are going to be people who are going to argue about it … The best we can do is, first of all, to find out the truth. To find out what really went on."